See in Glossary vertex data is passed as inputs to the vertex shader function. Each input needs to have semantic speficied for it: for example, POSITION input is the vertex position, and NORMAL is the vertex normal. appdata_base: position, normal and one texture coordinate. appdata_tan: position, tangent, normal and one texture coordinate. 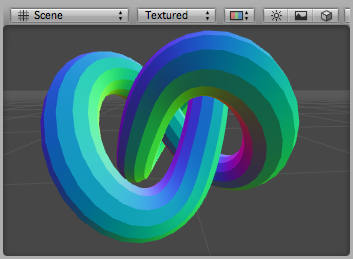 appdata_full: position, tangent, normal, four texture coordinates and color. POSITION is the vertex position, typically a float3 or float4. NORMAL is the vertex normal, typically a float3. TEXCOORD0 is the first UV coordinate, typically float2, float3 or float4. TEXCOORD1, TEXCOORD2 and TEXCOORD3 are the 2nd, 3rd and 4th UV coordinates, respectively. TANGENT is the tangent vector (used for normal mapping), typically a float4. COLOR is the per-vertex color, typically a float4. See in Glossary will contain (x,y,0,1). The following shader example uses the vertex position and the first texture coordinate as the vertex shader inputs (defined in the structure appdata). This shader is very useful for debugging the UV coordinates of the mesh. The following shader uses the vertex position and the per-vertex colors as the vertex shader inputs (defined in structure appdata). The following shader uses the vertex position and the normal as the vertex shader inputs (defined in the structure appdata). The normal’s X,Y & Z components are visualized as RGB colors. Because the normal components are in the –1 to 1 range, we scale and bias them so that the output colors are displayable in the 0 to 1 range. 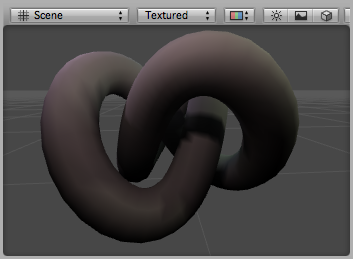 Debug Normals shader applied to a torus knot model. You can see that the model has hard shading edges. Tangent and binormal vectors are used for normal mapping. In Unity only the tangent vector is stored in vertices, and the binormal is derived from the normal and tangent values. 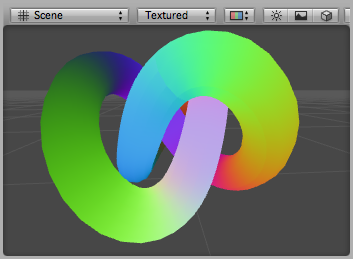 The following shader uses the vertex position and the tangent as vertex shader inputs (defined in structure appdata). Tangent’s x,y and z components are visualized as RGB colors. Because the normal components are in the –1 to 1 range, we scale and bias them so that the output colors are in a displayable 0 to 1 range. 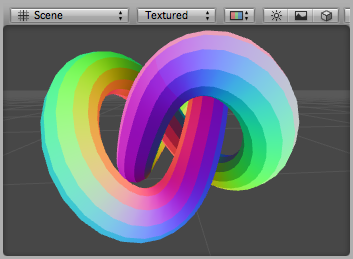 Debug Tangents shader applied to a torus knot model. The following shader visualizes bitangents. It uses the vertex position, normal and tangent values as vertex inputs. The bitangent (sometimes called binormal) is calculated from the normal and tangent values. It needs to be scaled and biased into a displayable 0 to 1 range. 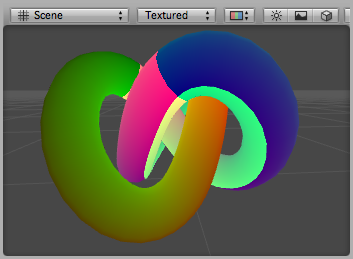 Debug Bitangents shader applied to a torus knot model.